Lost in the thoughts of the past when I go to bed, I thought that I'd move on. Time Bomb, which has sold 40K+ copies, hit #1 on the iTunes reggae album chart and remains within the top 20 on Billboard’s Reggae Album Chart to this day. The album included: “Turn Around” (which spent 11 weeks at #1 on San Diego’s 91X, hit #1 on Riverside’s KCXX and on Santa Barbara’s KJEE, was in rotation at Honolulu’s KUCD and Sacramento’s KKDO, as well as being streamed on LA based KROQ), “Time Bomb” (which reached #1 on Santa Barbara’s KJEE and has sold 60K+ singles), and “Falling” (which has moved 85K+ units since inclusion on both Time Bomb and Sample This EP, was an iTunes Discovery Download, reached #1 on Santa Barbara’s KJEE, and #3 on Honolulu’s KUCD). Their Fresh Grounds EP debuted at #1 on the Billboard Heatseekers Chart and on the Billboard Top 200 chart. The single “Summer Nights” from their Fresh Grounds EP reached #2 on the iTunes reggae singles chart. In 2012 the band released “Porcupine feat. Lincoln Parish” (guitarist for Cage the Elephant) which spent time in rotation on radio stations in Southern California, Colorado Springs, Montgomery, AL, and garnered spins on several alternative stations across the US including KROQ. Their third full-length album, Automatic, was released July 2, 2013 – it debuted at #75 on the Billboard Top 200 chart, #17 on the Billboard Independent Album chart, and #1 on the Billboard Reggae Album chart. The first single to hit radio, “Back Around” hit #1 on San Diego’s 91X, Santa Barbara’s KJEE, Honolulu’s Star 101.9, as well as being spun in rotation on several other stations as far as the east coast. A truly unique listening experience is created by crossing genre boundaries fusing reggae with fresh pop and rock influences - including additional production and instrumentation from Lincoln Parish, as well as the band’s previous studio partner JP Hesser of Castaway 7 Studios in Ventura CA. 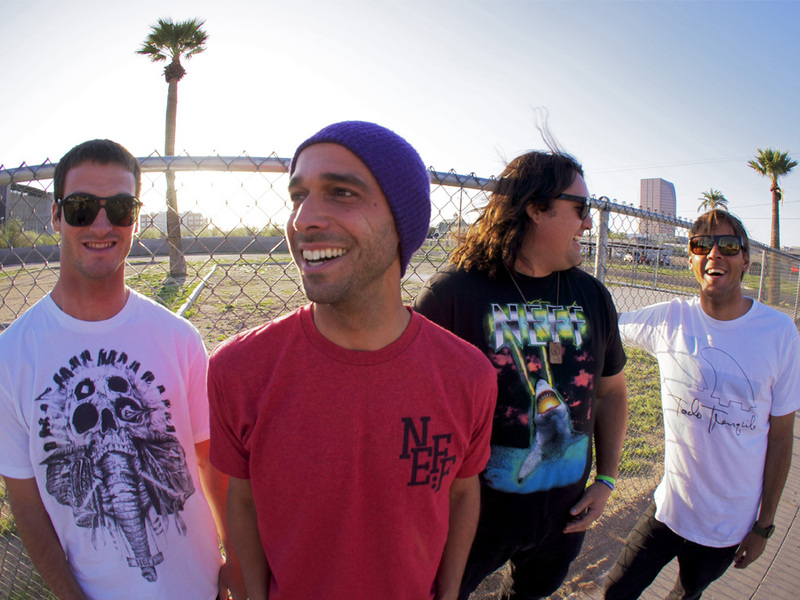 Iration recently embarked on a national major market headline tour which was supplemented by several shows supporting Sublime with Rome, plays at The Cosmopolitan’s of Las Vegas Thursday Night BLVD Pool Series, Orange County Fairgrounds’ Pacific Amphitheater, and San Diego’s Del Mar Race Track.